The acclaimed Pen/Faulkner finalist and New York Times best-selling author of Serena captures the eerie beauty, stark violence, and rugged character of Appalachia in stories that span the Civil War to present day. 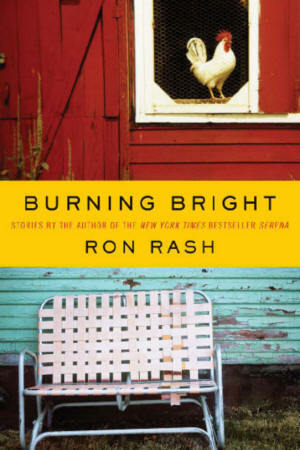 Few writers know the heart and soul of a region, as does Ron Rash. Like William Faulkner’s Mississippi or Ivan Doig’s Montana, Rash’s Appalachia is a dichotomous land of beauty and brutality settled by characters as remarkable and enduring as the mountains and hollows they call home. In BURNING BRIGHT, Rash masterfully crafts a patchwork of luminous tales rich in beauty, suspense, and violence that draws from the mythical, mysterious, and rawness of the people and the landscape of Appalachia.